The safe and responsible use of our products is fundamental to our ambition of helping farmers to grow more food using less resources. Our stewardship covers responsible agriculture programs and safe handling and storage of our products. As farmers steward their land, so do we our products – from discovery to eventual disposal. We aim to help growers intensify their production sustainably, and we manage our technologies responsibly. Syngenta helps farmers across India increase their productivity so they can thereby feed, clothe and contribute to the wellbeing of the growing population. We work to ensure this is achieved in a sustainable way for the long term future of our customers, the environment and our business. Taking responsibility for our products - from the production of seeds to the safe use, storage and disposal of crop protection products by growers - is a priority at Syngenta and this helps to build strong relationships with our customers and other stakeholders. We support growers and applicators to increase their knowledge on the safe use of our products so that they can optimize their performance, while minimizing potential risks. Stewardship starts before the product comes to the market. Our products are only brought to market after thorough scientific evaluation to the highest standards and review of extensive data by regulators. From the earliest phase of our R&D process, we think holistically about new molecules and seed varieties – considering safety, environmental impact and regulatory concerns, next to efficacy, at the earliest practicable stage. For every crop protection product that reaches the farmer’s field, almost 100,000 are tested but discarded because they do not meet efficacy or safety standards. When the products leave the control of Syngenta and are in the hands of our customers, they should know how to transport, store, mix, apply or grow and dispose them off without endangering themselves or the environment. Syngenta runs “safe use” programs to help ensure that people are able to understand and follow labels and/or growing instructions in their own environment and that they are aware of all the information needed to use these products safely. We advocate the use of appropriate personal protective equipment and have also trained medical staff at hospitals and poison control centers in the diagnosis and treatment of possible health problems from any accidental over-exposure to pesticides. Through our extension activities we reach out to our growers in order to enrich their farming experience and showcase our best practices. Growers are educated on all aspects of agronomy, yield, productivity, seed & crop protection for various crops and also HSE (Health, Safety and Environment) through regular farmer meetings/ training/demonstrations by Sales Unit Leads across our commercial units. Demonstration/Field days showcase Syngenta’s new hybrids and products, Syngenta solutions and how they impact yield and productivity. There are also Face to face (F2F) meetings to train growers. We also invite Krishi Vigyan Kendra (KVK) representatives to educate the affiliated farmers by setting up special camps in villages. 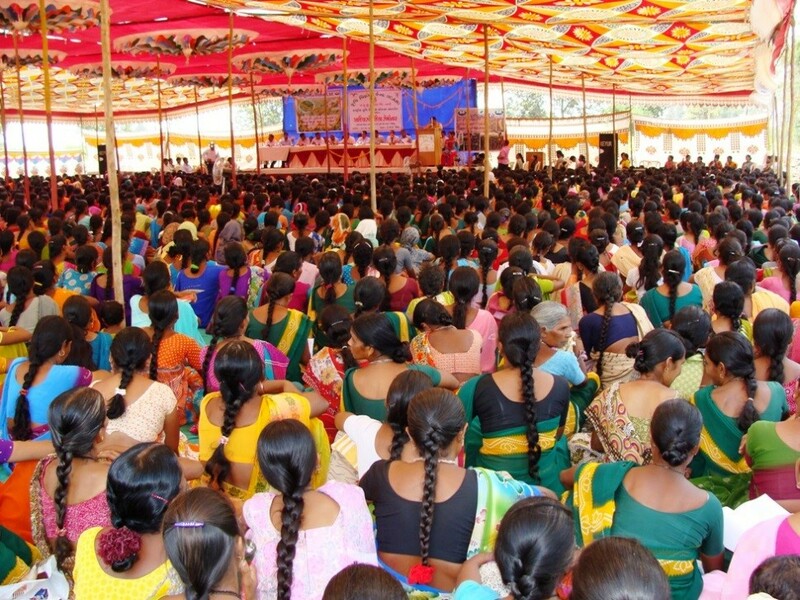 KVK is an agricultural extension center financed by Indian Council of Agricultural Research (ICAR). Syngenta knows that it is not only important to invent and bring new generation products to farmers but also ensure that existing products are used correctly so that farmers can get the maximum out of them. Syngenta demonstrates the 3R strategy to farmers’ viz., Right dose, at the Right time and with Right application technology because poor application technology was identified as one of the key reasons for poor efficacy of herbicides. Due to illiteracy and poor skills of the applicator, the grower is unable to get the right benefit from products and so to educate farmers and applicators, Syngenta experts conducted various training programs and seminars throughout North India. Syngenta has also developed a nozzle which fits into farmers’ practice and enables them to do much better application than conventional nozzles. 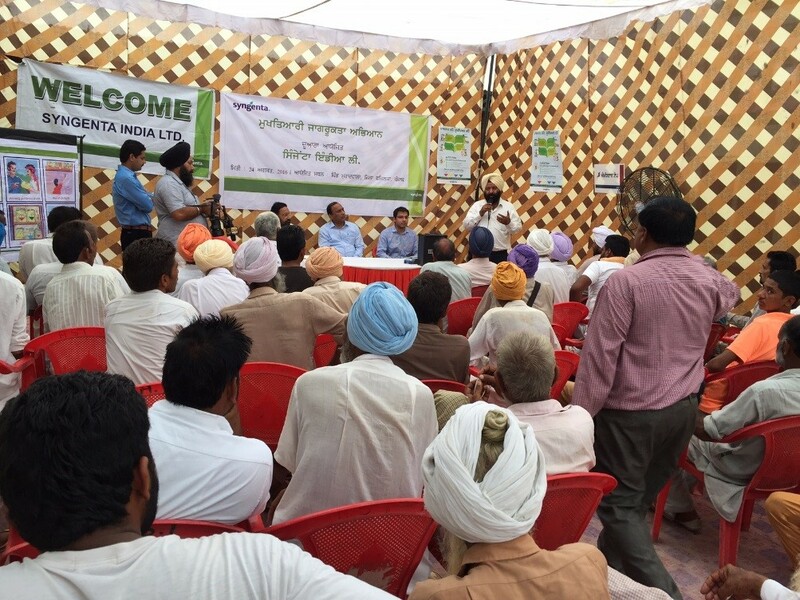 Syngenta is currently running training programs on Safe and Responsible Use of Crop Protection Products for farmers in in three districts of Punjab- Fazilka, Bhatinda and Faridkot. 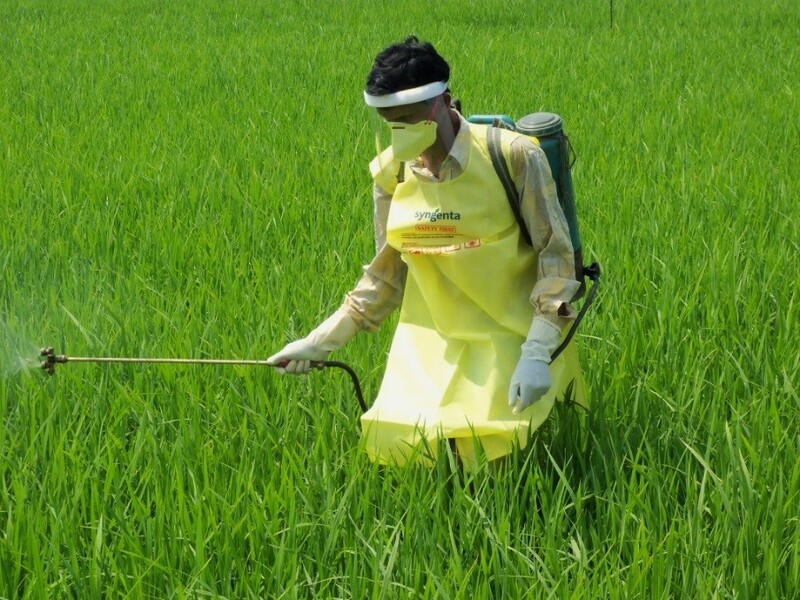 Usage of Personal Protective Equipment is low in India among farm workers involved in application of crop protection products and there are thousands of farmers who do not realize the safety benefits of using it in their daily work. There is also the problem of Availability, Accessibility and Affordability of PPEs. To address the issue Syngenta has launched this stewardship drive which will inform farmers about the manifold advantages of using Personal Protective Equipment. We have now made safety kits available at more than 100 retail crop protection product outlets across three districts of Punjab- Fazilka, Bhatinda and Faridkot at a nominal cost. 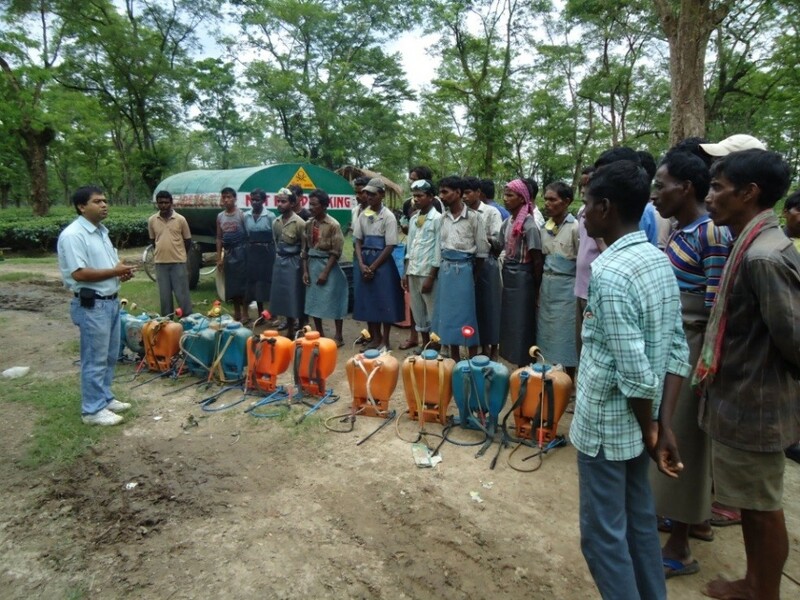 Syngenta India’s field force regularly holds stewardship training sessions for farmers during all its farmer meetings and field days. More than 90% of our stewardship and extension training is delivered by our own sales and stewardship teams. To extend our reach, we also work with both commercial and academic partners. 1. Before using, read and understand the product label. 2. Exercise caution at all times when handling a product. 3. Maintain application equipment in good working condition. 4. Practice good personal hygiene before, during and after using products. 5. Use appropriate Personal Protective Equipment. In 2015 we trained nearly 900,000 growers through stewardship programs on how to use our products safely and effectively to maximize benefits while reducing the risk of harm to themselves or the environment. The company also conducts the “Stewardship Week” in various Commercial units across the country. In 2015, as a part of the Stewardship Week, Syngenta held about 2200 meetings and training programs and imparted knowledge on safe use of pesticides to more than 75,000 people including growers, farm labor, extension workers, government officials and university scientists. Messages on secure storage of crop protection products and resistance management were also given.